There are many reasons and theories on why the costs have continued to rise much faster than inflation has in the past twenty years. 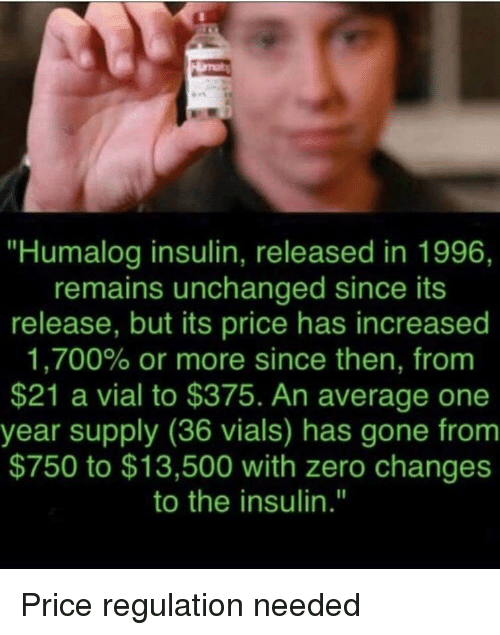 Corporate greed, government overregulation, constant technological advances that greatly improve the product while also requiring huge research & development budgets, and a market system full of middlemen between the consumer and producer are all possible reasons for the list price of insulin tripling between 2002 and 2014. It is important for diabetic patients to maintain a constant blood sugar level throughout the day. Innovation costs a lot of money on the research and development end because it is expensive to develop and test new drugs. This constant improvement has also kept the patents for insulin in the hands of three big companies—Sanofi, Novo Nordisk, and Eli Lilly—because the original 1922 insulin patent included patent rights on any manufacturing improvements. To date, a fourth drug company has not entered the market because biologically replicating a human hormone to manufacture insulin is difficult. FDA testing and approval creates a huge barrier for new pharmaceutical products entering the market. Attorney generals from 20 states accused the three companies of colluding as a trust to have a monopoly on the market. Competition will hopefully be fostered among the three companies to lower prices and capture the uninsured customer. 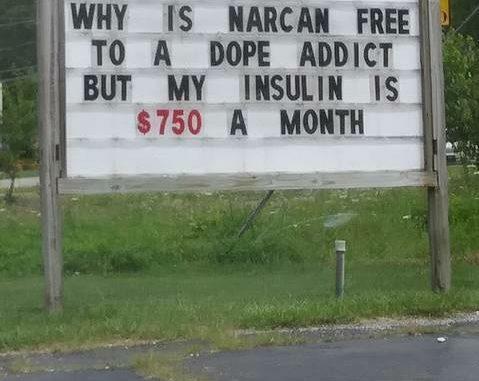 The best way to lower the costs of insulin is to decrease its demand by making lifestyle choices that embrace healthy eating and exercise.